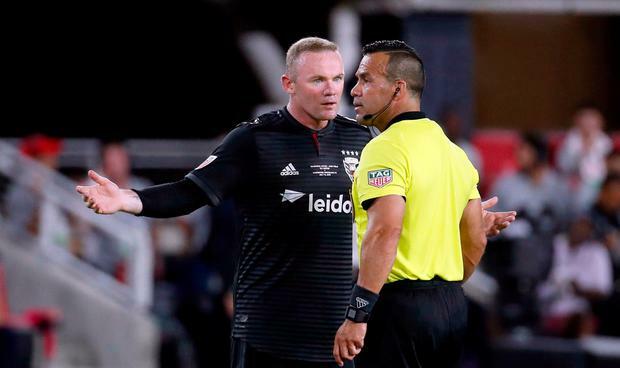 Wayne Rooney did not want to be a "dead weight" at Everton and was happy to move Stateside, the new DC United striker said. Rooney came off the bench to make his debut for the MLS side at the weekend and played a part in two goals as his new side beat the Vancouver Whitecaps 3-1. England's top goalscorer returned to Everton in July 2017, scoring 10 goals in 31 appearances over two seasons before heading to pastures new. Speaking about the move, Rooney told BBC Sport: "Everton made it clear if there was an offer there, they would be happy for me to go. "I understand they have brought a new manager in, got new staff, they obviously want to bring in players that manager wants. "I said to them if that is what you want, I am not going to hang round and be a dead weight. I will go somewhere else and play." The 32-year-old signed a three-and-a-half-year contract to leave Everton and conclude a decorated career in England but he has joined a struggling team widely considered the worst in MLS. Rooney's decision to move came at a time when his status at Everton had become uncertain and when he had once expected to be involved with England at this summer's World Cup. Speaking when he signed for DC, he said: "Moving to America and MLS fulfils another career ambition for me. "I have the hunger to be a success here and will give DC 100 per cent - as I have always done for every team I have ever played for." Everton appointed Marco Silva as manager, replacing Sam Allardyce, in May.